Walking with Jesus: Day 46: Acts 14:19-23 & Prov. 17:10-19 - What Does Faithfulness Look Like? Day 46: Acts 14:19-23 & Prov. 17:10-19 - What Does Faithfulness Look Like? 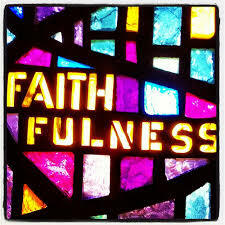 What Does Faithfulness Look Like? At the end of Friday's passage, Paul and Barnabas had to restrain the crowds in Lystra from offering sacrifices to them as gods. In today's passage, the crowds stone Paul and drag him out of the city, leaving him for dead. Luke does not clearly tell us whether Paul actually died, so that when he "rose up," he actually came back from the dead, or whether he was merely knocked unconscious by a rock and left for dead. However, most Bible scholars agree that Paul's reference to a man who died and visited heaven in 2 Corinthians 12 most likely refers to himself in this incident outside Lystra, where the dead body of the Apostle Paul was dragged and left until the disciples gathered to pray and his life was restored. Here the Apostle Paul sets a wonderful example of faithfulness for us. In the course of a relatively short period of time, Paul has . . . So, if all of this happened to you on a missions trip, how would you respond? Most of us would probably pack our bags and head for home. This is so much more than we bargained for. What that reaction reveals is that we subconsciously make subtle deals with God, negotiating in our minds how much we're willing to do and to suffer for the sake of Jesus. Clearly, Paul had no such mental reservations or self-interested calculations. He was faithful. "he rose up and entered the city"
"they returned to Lystra and to Iconium"
In those short phrases are the very demonstrations of Gospel faithfulness. Faithfulness continues in the service of God, unwavering and uncompromising, whatever the opposition. Such faithfulness is only possible as we are empowered by the Holy Spirit, but this is the calling of every believer. This is what Jesus meant when He said that we must take up our cross daily and follow Him. Heavenly Father, empower us today by Your Holy Spirit to serve You with faithfulness, no matter the obstacles or opposition. Give us the strength of conviction, the clarity of understanding and the courage of character to stand for Christ in a world of hostility. In Jesus' name, Amen. and we need Your Holy Spirit to save and sanctify us from these influences. and let us willingly submit to Your will and wisdom in loving obedience. but let us always seek to do good, to bless and not to curse. Make us peacemakers and truth-tellers today. and the wisdom from Your Spirit to walk in wisdom before You.